OLDRIGHTIE: The Deep State And Doctor Blasey Ford. The Deep State And Doctor Blasey Ford. 1 can't be sure but I believe these two pictures are from yesterday's hearing. Some recovery given the lifetime trauma she claims she suffered. Of course as a fifty year old plus woman, she knows full well false accusations of sexual impropriety never, ever happen. Or that psychologists place absolute faith in polygraphs! I will confess that for many people, myself included, the Senate hearing over the Dr Blasey Ford allegations was high drama. I even kept our precious Doberman up watching. What I couldn't understand is that since this was about a senior appointment to a high office and character a big issue, why wasn't this woman questioned more pointedly? he certainly was. In pursuing my questioning thoughts, I came across this. Even if GOP biased, still valid questions for all involved. let alone voters and the public arena. What was also fascinating is the paucity of any criticism of Ford and masses against Judge Kavanaugh thrown up in a Google search. That Google is becoming ever more identifiable as a tool of the deep state is of much need for us all to be fearful. Not withstanding the Democratic, leftard, libdum nature of this woman, her psychology training and qualifications, her activism on behalf of the Democratic crowd and her emotional, for me, crocodile tears, all combined to demand closer scrutiny. Her two lawyers and their nervous, frequent interventions were also rather suspicious. Contrast their presence with Judge Kavanaugh's isolation. His emotional, fighting back tears was embarrassing, sure but he had more reason to be exhausted than she. His whole life on the line and for what? 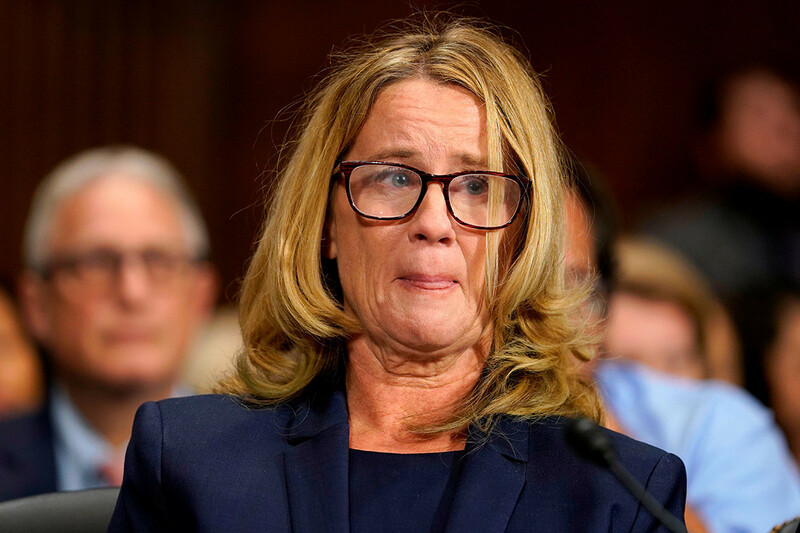 The link I've used answers much of my own desire for a greater inspection of Dr Blasey Ford's accusations and indeed her character and substance. Perhaps the most glaring one of all is her questionable character and that of her parents, in her being at the kind of function/party as a 15 year old young girl. It was an alcohol fuelled booze up, by her own admission and she presumably expected at some point to go swimming. What else was she hoping to enjoy at this "bash"? Find a boyfriend, experiment with being a grown up? I am not suggesting for one moment assault in any shape or form is acceptable. However surely we all have a degree of responsibility. Caring for the safety of 15 year old children should be paramount. Yet this business is getting hours and hours of airtime. Unlike the grooming gangs across Europe. Or the victims of Establishment deep state evil as in this case. I hope Judge Kavanaugh gets selected. His experience of these past many months can only harden his resolve to consider the swamp of American, ergo, Western, decline and decay. Our moral compasses have certainly been collected up and melted down for the benefit of a wealthy elite for whom only their own, selfish, self entitled smugness gets any airtime. 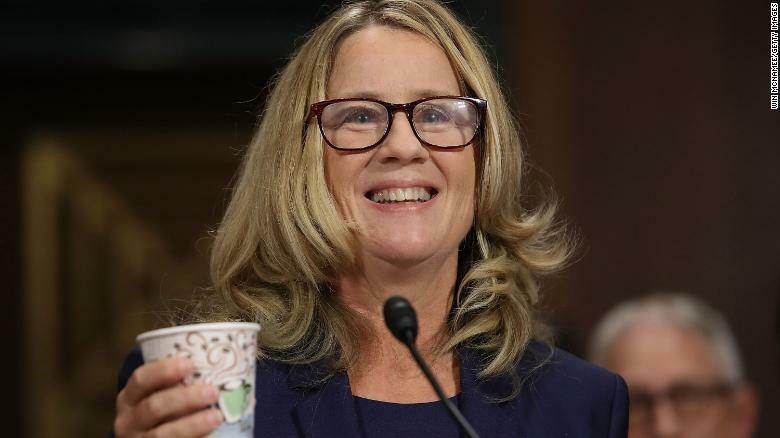 This woman, Dr. Blasey Ford, looks every inch and breath, someone who believes in swimming in "natural" waters. Possibly even including a swamp. The pond life she's surrounded herself with, Olympic standard lawyers to name some of her fellow bathers, looked very gross at her side. Somewhat belying reports of how she never hesitated with her discourse. Add to her team the Ranking Senator Feinstein and her shaky responses to who "leaked" Ford's letter to the Press and the time line adopted by the alligators on the Committee and the grossness of the deep state foot soldiers is big time on show. WTF was this all about? That video isn't mega media news, is it? Just think on this. If they can subject a respected, long serving Judge to this treatment, what chance we mere mortals? That swamp and its associated stench of rotten decay is spreading beyond its own environs. Daily filled with the inevitable detritus gangsters and drug barons bring to the bathing parties. Swimsuits and all. Good well written piece, I too have very real doubts about this case. If the woman was attacked then it is reprehensible behaviour that should be punished BUT why wait so long before saying anything? Who can get anything like a fair hearing after so long when most of us can't remember what we did this time last year let alone give evidence that could dam someone after over 30 years? It seems to me that Mr Trump was elected by a majority of the people but a minority don't like the result and these self proclaimed democrats are now seeking to overthrow the will of the majority. 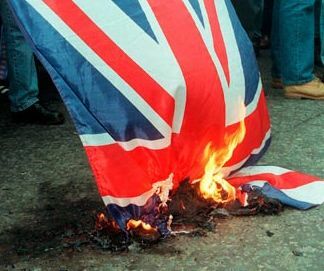 Now that's a situation you never see in the UK.